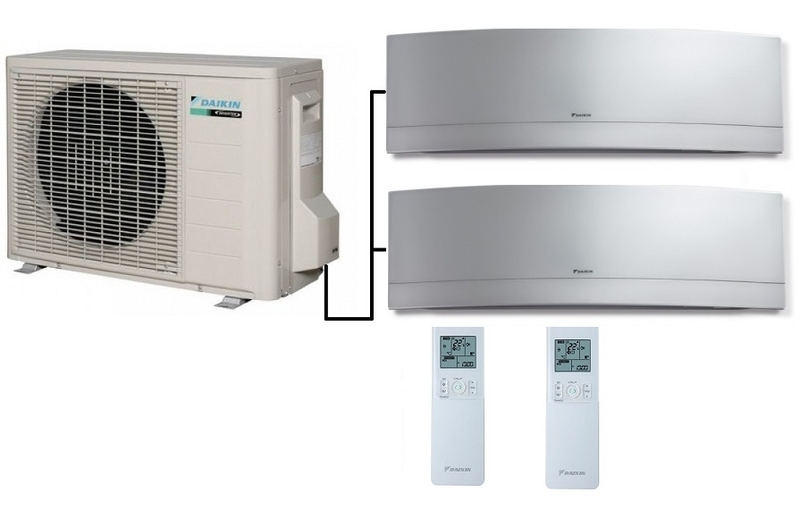 The Daikin twin split multi outdoor unit 2MXM40M with the Daikin Emura indoor high wall units. These stunning silver indoor units, also avialable in crystal white finish have a host of facilities such as an intelligent eye sensor to work out when occupants are in the room and can also be remotely controlled via the included Wi-Fi controller if required. 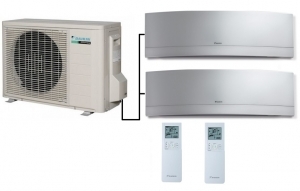 The 2MXM40M can be fitted with either the 2.0Kw or 2.5kw Emura indoor units. Note these are the latest R32 refrigerant models.